Sydney, Australia – 5 February, 2018 – Sanofi Genzyme, the specialty care global business unit of Sanofi, welcomes the registration of Dupixent® (dupilumab) in Australia. “The physical and psychological burdens often experienced by people living with moderate-to-severe atopic dermatitis can have devastating impacts on quality of life,” said Associate Professor, Peter Foley, Department of Medicine (Dermatology), University of Melbourne and Director of Research, Skin & Cancer Foundation Inc.
“Atopic dermatitis can take control of people’s lives. Many patients struggle with their disease and with the treatment options currently available”. Sanofi’s Australia and New Zealand Country Medical Chair, Dr Paul King, said there continues to be a high unmet medical need for patients with moderate-to-severe atopic dermatitis. Dupixent is being jointly developed by Regeneron and Sanofi under a global collaboration agreement. 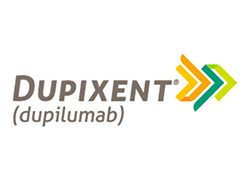 Dupixent is a human monoclonal antibody that is designed to specifically inhibit overactive signaling of two key proteins, interleukin-4 (IL-4) and interleukin-13 (IL-13), which are believed to be major biological drivers of the persistent underlying inflammation that causes atopic dermatitis. Dupixent is indicated for the treatment of moderate to severe atopic dermatitis in adult patients who are candidates for chronic systematic therapy. Dupixent is not intended for episodic use. The recommended dose in adults is an initial dose of 600 mg by subcutaneous injection, followed by 300 mg given every other week. Dupixent is contraindicated in patients with hypersensitivity to dupilumab or any of its excipients. Precautions for Dupixent include hypersensitivity, helminth infections, conjunctivitis and keratitis, comorbid asthma, and concomitant atopic conditions. There is no safety data on co-administration with other immunomodulators, or concurrent use with live vaccines. The most common adverse reactions seen in clinical trials were injection site reactions, conjunctivitis, conjunctivitis allergic, oral herpes, conjunctivitis bacterial, herpes simplex, eosinophilia, eye pruritus, blepharitis, dry eye. With more than 100,000 people in the 100 countries. Sanofi is transforming scientific innovation into healthcare solutions around the globe. PBS Information: DUPIXENT is not currently listed on the PBS. The Dupixent Consumer Medicine Information accompanies this media release. 1. Australian Approved Product Information for Dupixent (dupilumab). 3. Simpson EL et al. N Engl J Med 2016;375:2335–2348.